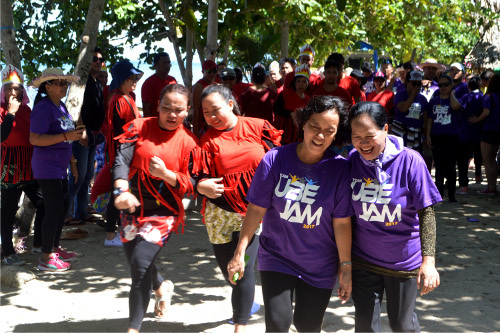 The Ube Jam team headed by Ma’am Erlinda Macaso from the Records and Archives Office and Ma’am Madel Pascual of the HRMO. Go Green Beret! Pull harder! The men and women of the administrative force. Players are running head-to-head, doing their best to win the game. 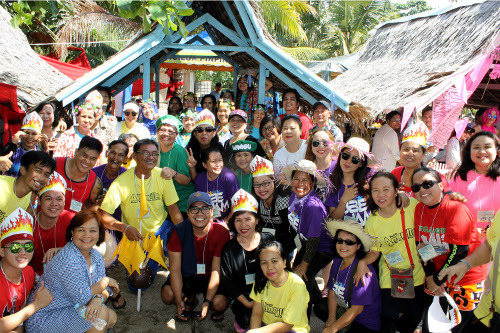 To strengthen the working relationship of the administrative support group and to improve their morale and leadership skills, a team building activity was held last May 27, 2017 at the Bolong Beach, this city. The fun event was made possible through the efforts of the Office of the Vice President for Administration and Finance (VPAF) headed by Dr. Joselito D. Madroñal, and the Human Resource Management Office (HRMO) in collaboration with the Administrative Personnel Association (APA, and the Center for Continuing Education (CCE). 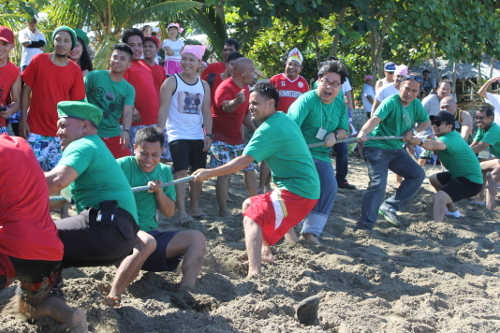 The team building activity provided activities that empowered the members to contribute to common goals. 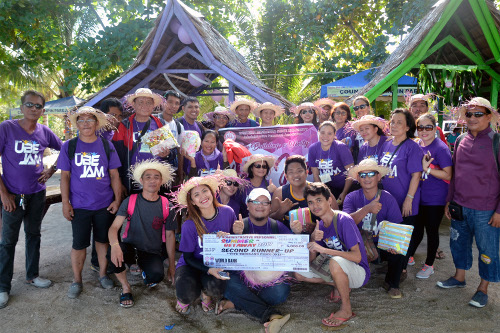 “We felt the team spirit already burning since the preparation phase,” said Dr. Madroñal. “May this team spirit continue to burn in our respective offices so we can be effective and efficient in achieving our goals,” he added. 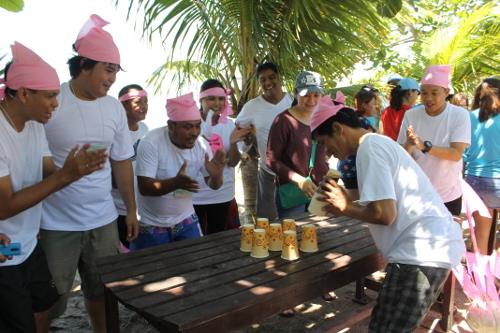 The administrative personnel from different offices and colleges spent the one day break from the daily rigors of their office works with fun-filled activities and games which enabled them to improve team effectiveness, camaraderie, and collaboration while having fun at the same time. Some of the games and activities include flash mob, cheering and battle cry competition, cup collection, lean walk, and amazing race among others.